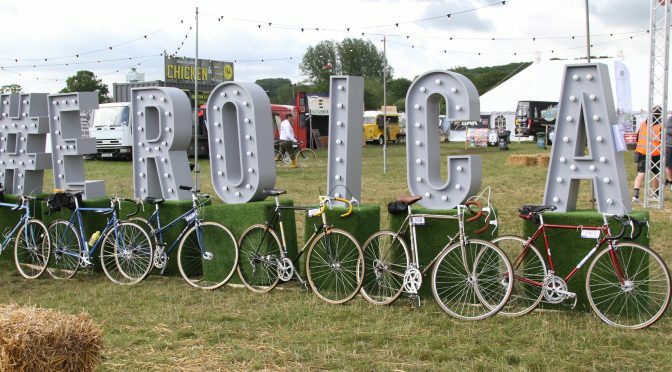 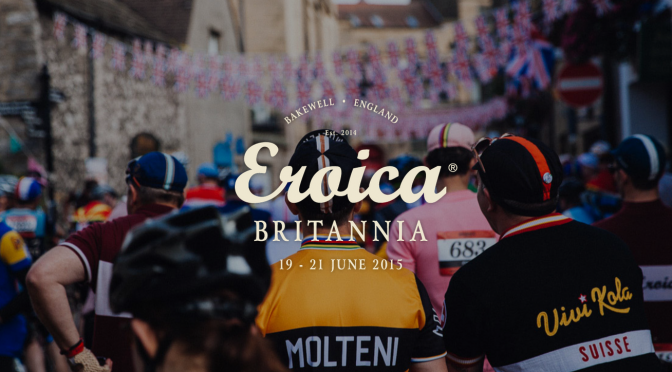 This weekend we are heading to Eroica Britannia. 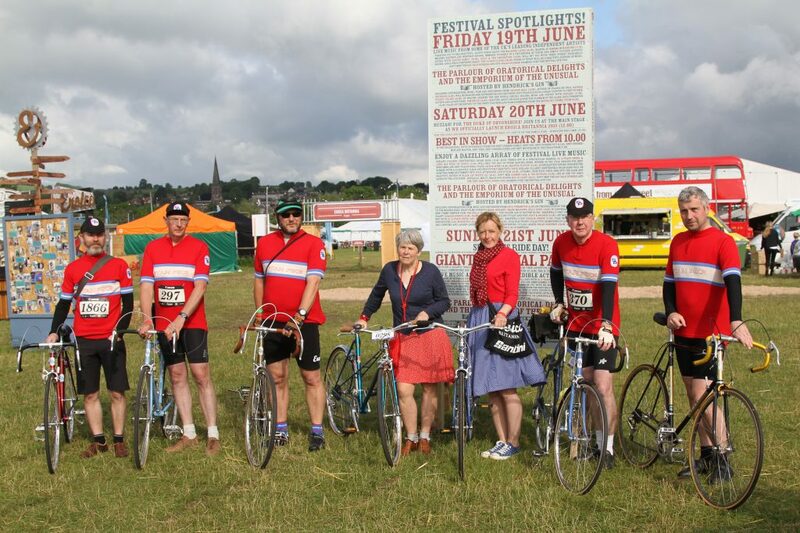 If you’re taking part on a Stan Pike (or have an interest in Stan Pike bicycles), please meet us outside the registration tent on Saturday 17th at 5pm. 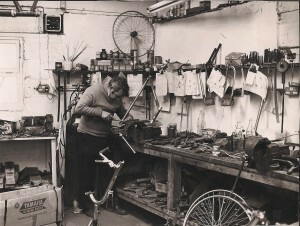 It’d be great to have a chat, compare bikes and a take a few Stan Pike group photographs. 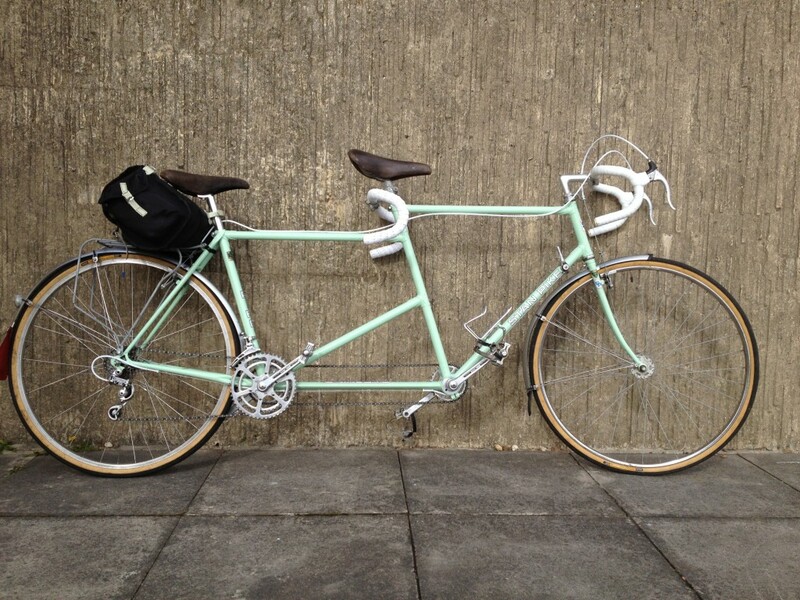 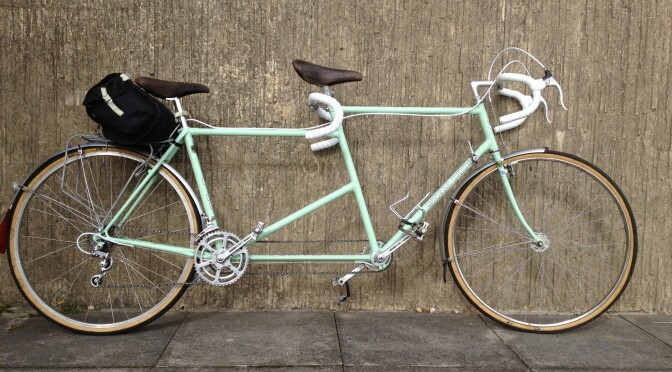 I rode Eroica 2015 with a friend on a 1982 Stan Pike tandem. 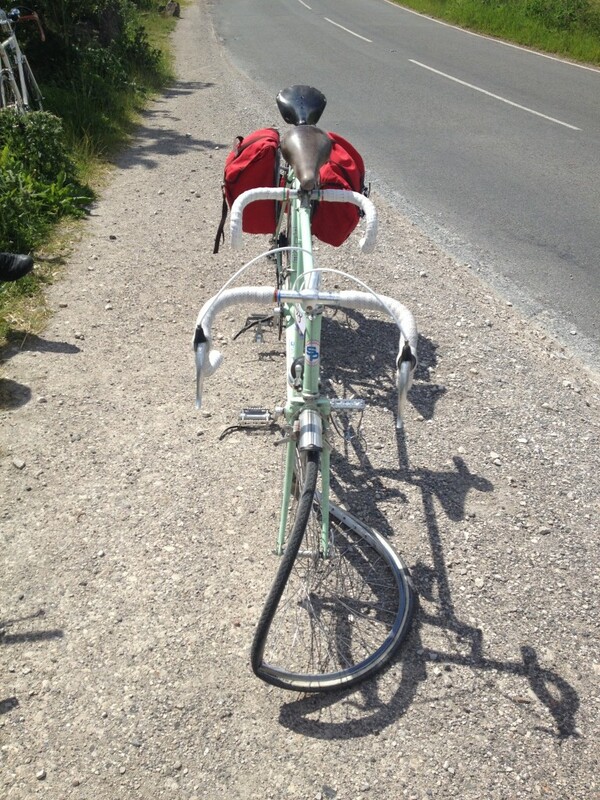 Unfortunately we only got half way before a catastrophic front wheel failure sent us over the handlebars. 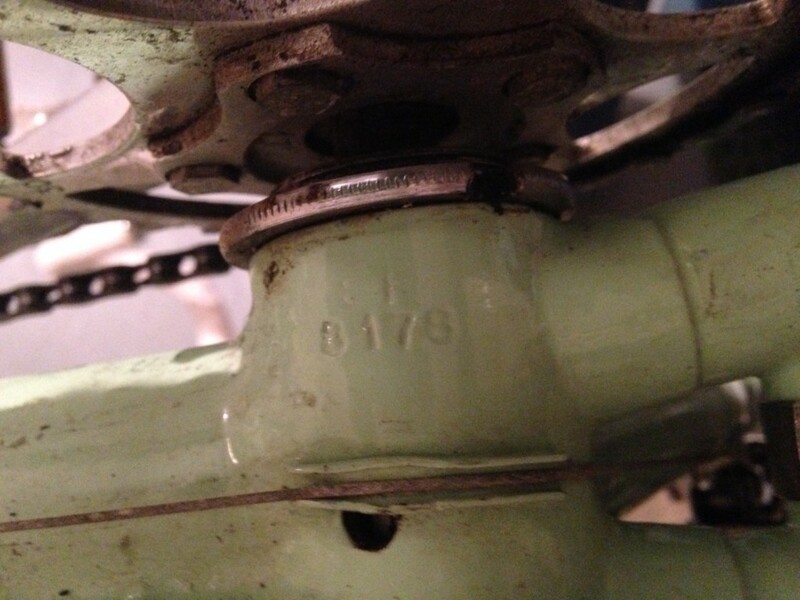 I think this was secondary to a blowout, secondary to the front rim getting too hot from braking on one of the long descents. 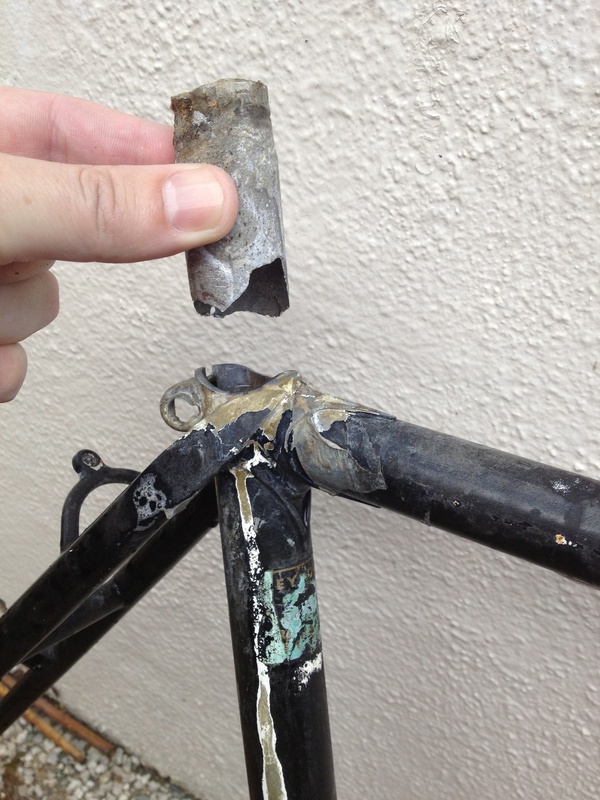 I bought the tandem two years ago in slightly tatty condition, did a service, only to find that the rear seat post was welded to the steel with corrosion. 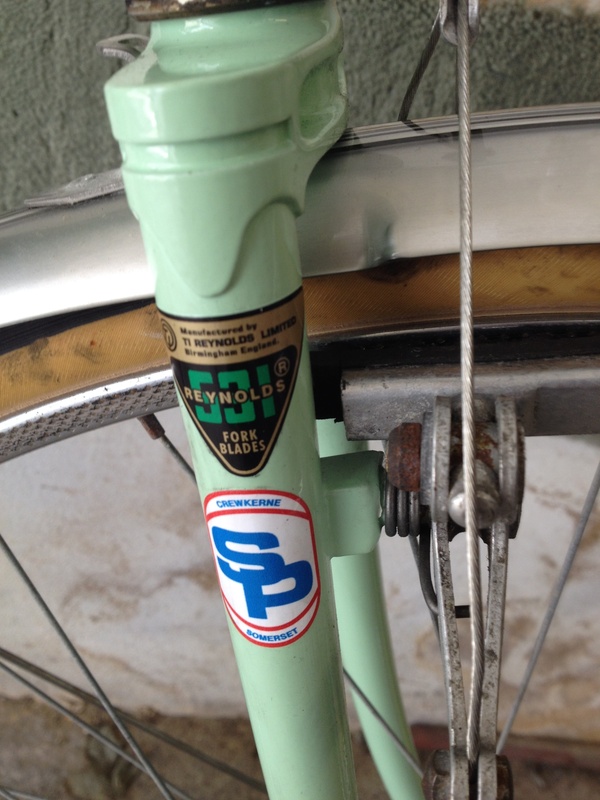 After mechanical methods failed I resorted to the caustic soda approach- which worked but stripped the paint, so I had it redone with new stickers. 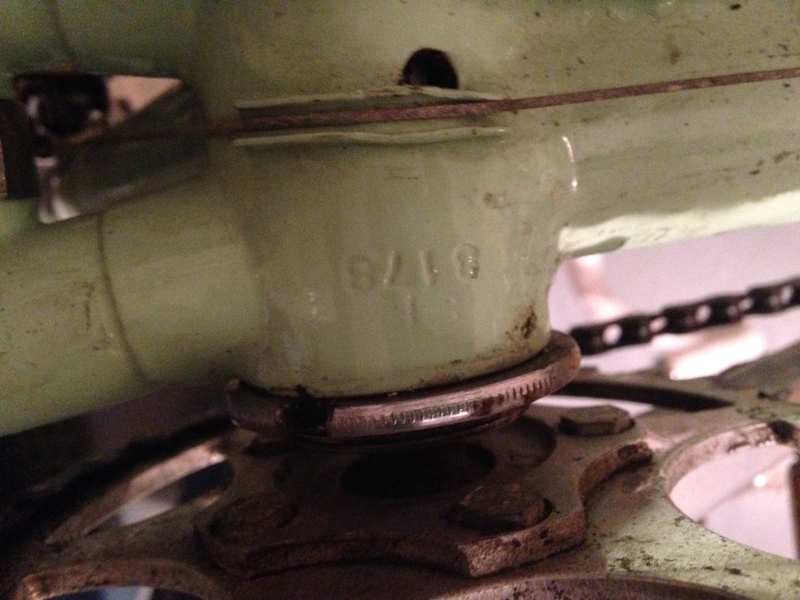 The frame was unscathed by the crash and I have had a new front wheel built using a NOS 27″ 48 hole rim on ebay. 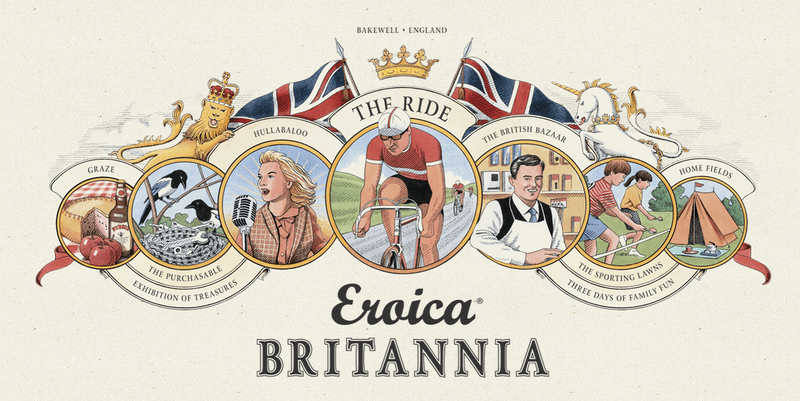 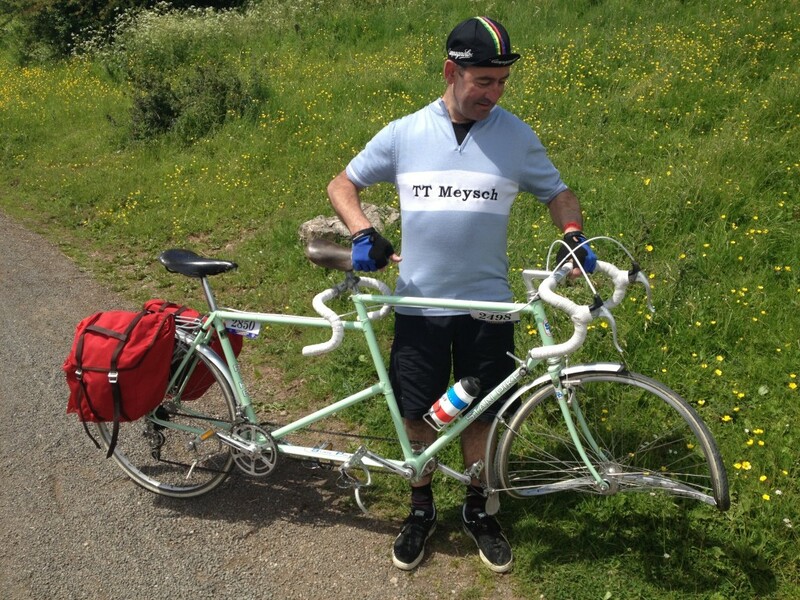 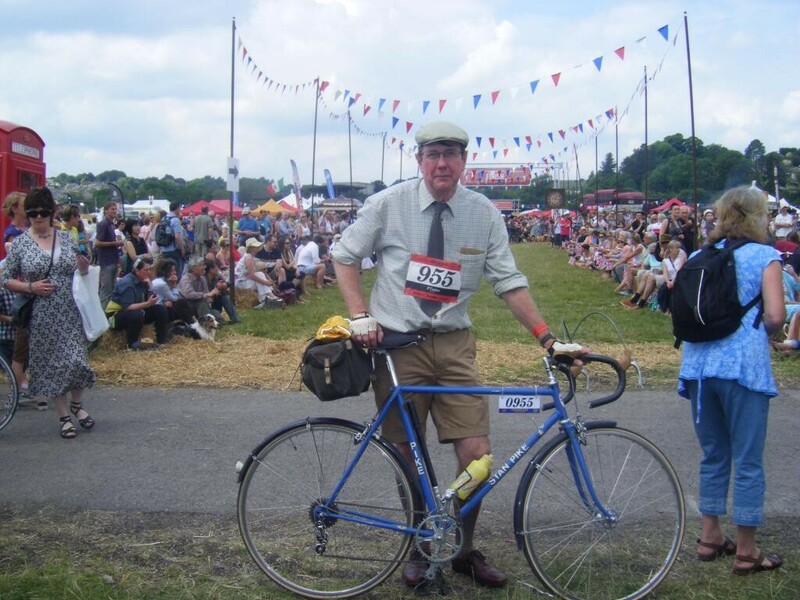 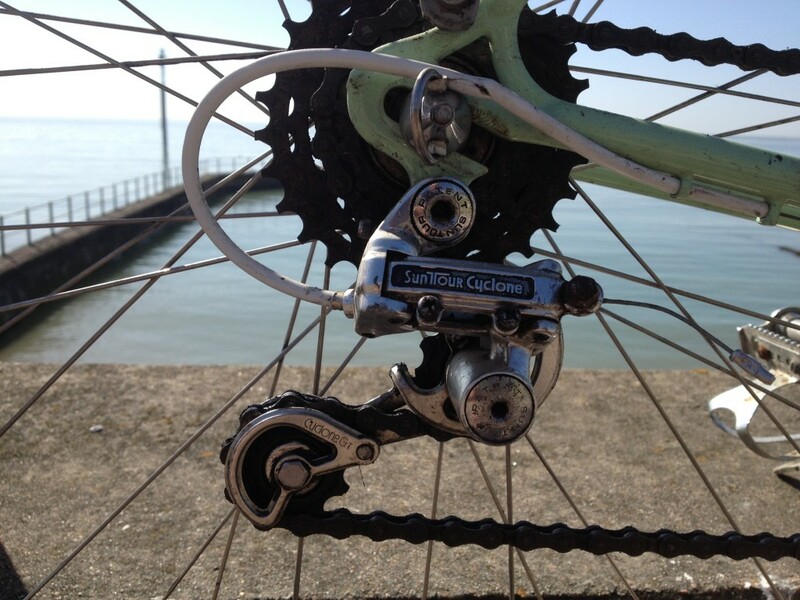 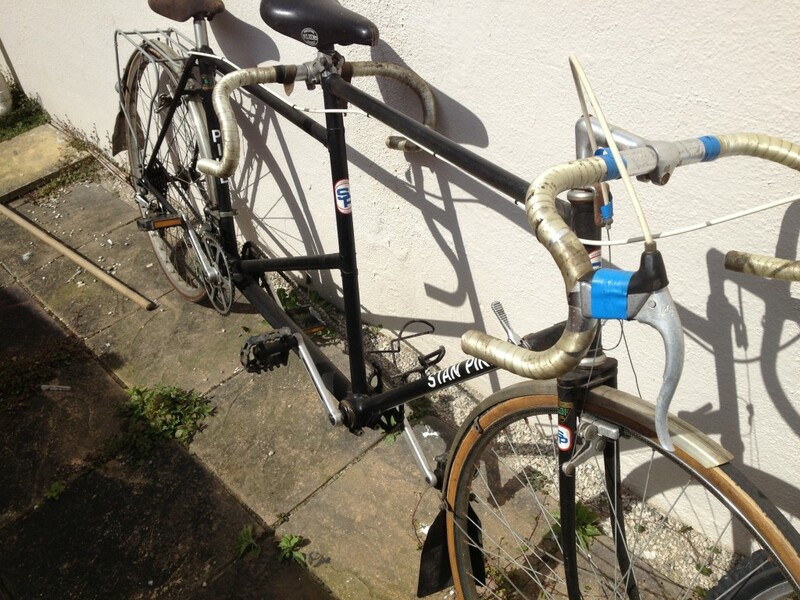 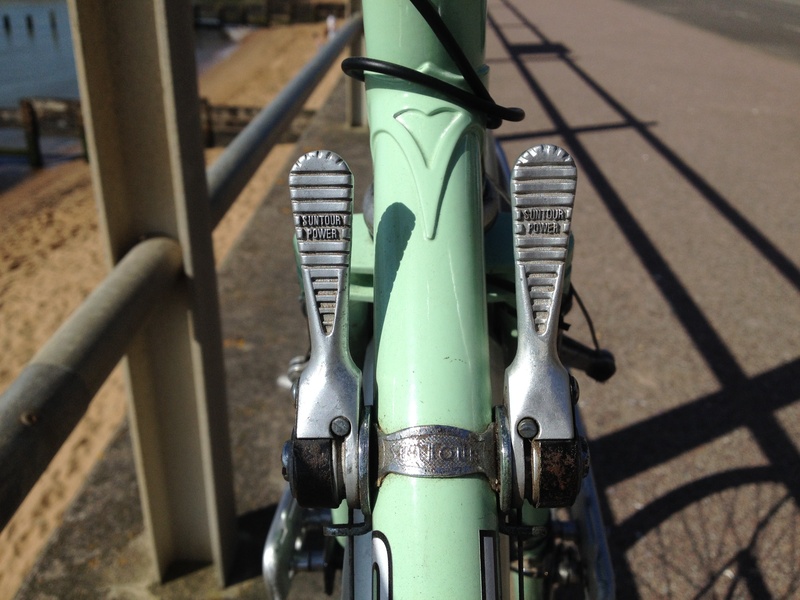 Hope to finish Eroica next year – although my stoker might be less than keen – so I could be doing it on a different bike!